A cheesy and satisfying casserole for leftover Easter Ham! Round out with a green vegetable and milk! a 2 1/2 to 3 quart casserole dish that has been lightly coated with cooking spray. 3. Bake for 25 to 30 minutes or until hot and bubbly. medium until hot and bubbly, 3 to 4 minutes more. Variations: Add any of the following – peas and carrots, leftover vegetables, onions, zucchini or peppers. I know I’ve teased you and hinted at the Saturday Samplers programs a couple of different times and I keep forgetting to write a blog post about them. This series is a way for you to come get a free “sample” of our gardening and cooking programs this summer! 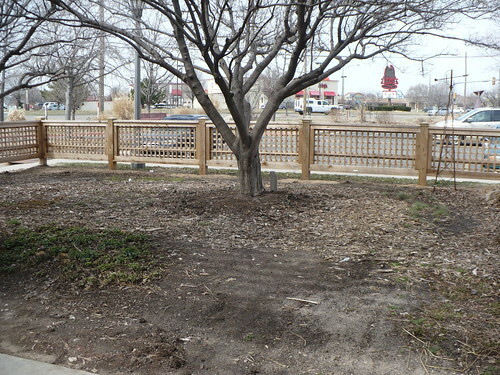 One Saturday a month we will be meeting at 9 a.m. in the Demonstration Garden at the Sedgwick County Extension Education Center (21st St N & Ridge Rd) to feature growing and cooking a different vegetable or herb. Participants will learn cooking and nutrition tips, timely gardening tips, and get a tour of the demonstration garden. All Saturday Samplers are free and no registration is required. The Kansas Grown! Farmers’ Market will be going on in the parking lot, so participants are encouraged to plan accordingly. 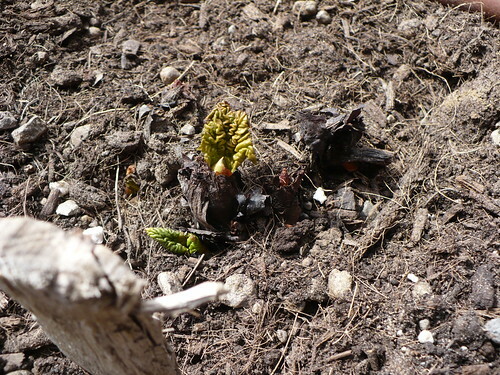 Topics may be subject to change due to what is happening in the garden, so watch the blog for updates as we get going! Or why we set ourselves up for failure when trying to start new things from seed. But we’ll get to that in a bit. 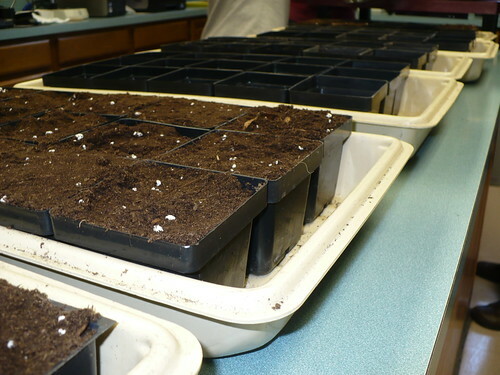 The first task….filling the pots with soil. 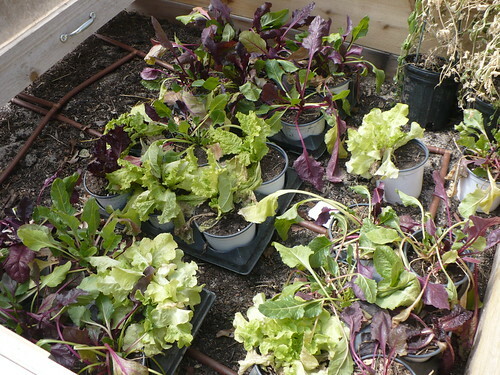 We use a basic, soilless potting mix. I never spring for the more expensive “seed starting mixes,” although I do only use a mix that doesn’t already have fertilizer incorporated. I also recommend that you fill your pots with soil all the way to the brim and very gently pack it down. Don’t press hard, but you want to make sure you don’t have any air pockets in the pot. By filling them all the way to the top, you will have some space once the soil compacts during watering and you guarantee that all the pots have the same amount of soil. Why is that important? Because then they should all need watering at the same time, rather than some drying out faster than others. The next step (if you didn’t do it already) is to write out your labels and stick them in the pots. We put one label in each pot, because things do get moved around a bit throughout the spring, and I hate having unknown plants. 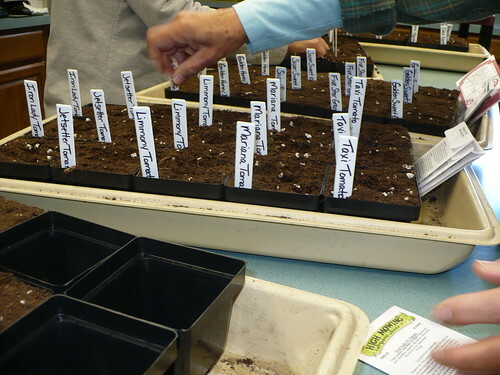 It also makes it really easy to make sure you are planting the right seeds in the right pot and that you have enough of each. Then the fun part! Planting the seeds. 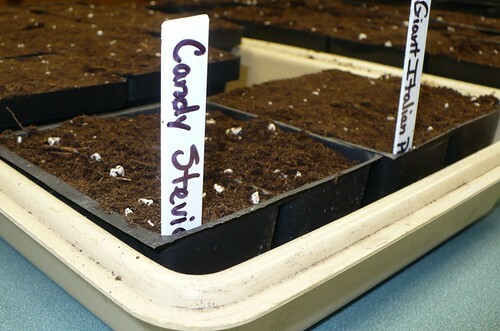 I’m a stickler about one seed per pot (as long as the seeds are fairly easy to handle and only get one per pot). We usually only need one or two plants of each variety in the Demo Garden, so we plant extra pots rather than planting extra seeds in each pot. This year we only need one tomato plant of each variety, but we planted three. One of the extra is just in case germination is poor and the other extra is just in case something goes wrong when we transplant. Because a lot of our varieties aren’t available as plants locally, if we were to only plant one pot, we would be in trouble if something happened. We don’t currently have a good watering can with a fine mist ability, so we have been using the spray attachment on the sink in the response center to thoroughly wet down our pots after seeding. 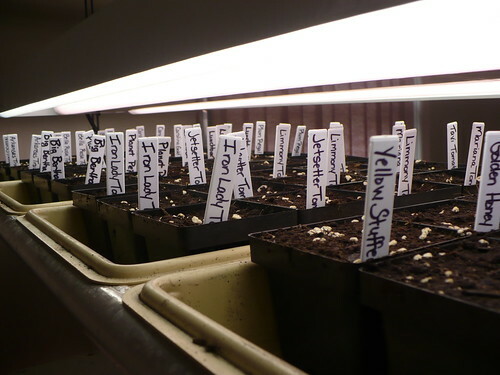 I now have six and a half flats of seeds under my lights in my office. And one 4-cell pack in the refrigerator. Oh yeah, I was going to tell you about that. Well then. Can you explain to me why the seeds need light to germinate, but then it is recommended to cover them with either loose mulch or put them in a refrigerator? 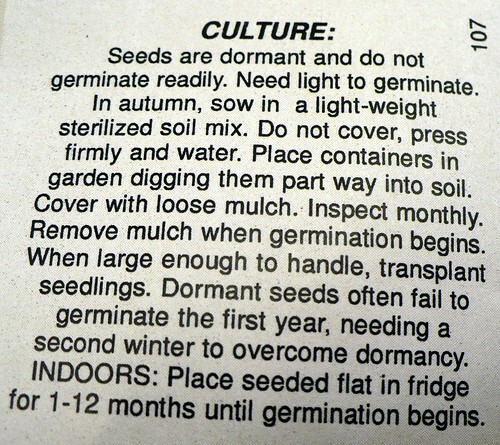 Any why didn’t the catalog give me any warning about the crazy germination requirements?!? (It lists the “ease of germination” as “Moderate” and says that the seeds can be planted “anytime.” Yeah, right. 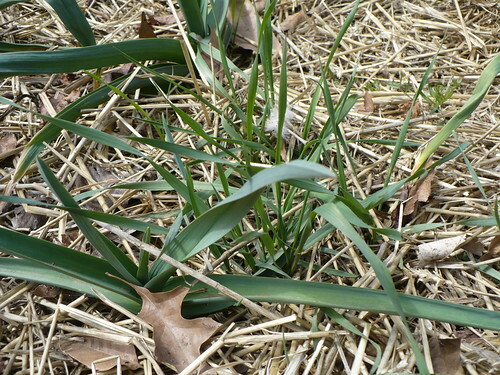 Just it might be months before anything germinates. OR MAYBE TWO WHOLE WINTERS OF COLD!!! Couldn’t they put the seeds in the freezer for a year and sell me pre-cold treated seeds? Anyway, we dutifully put the seeds on top of the soil and then gently watered them in. I put the cell pack in a plastic bag and then put it in the refrigerator. We’ll see how long it takes for me to get annoyed with it and throw it away. And that is Why We Research Before Planting Something New. If you missed out on the Grow Good Food Workshop this past Saturday (or if you had to leave early), here are the handouts for you to download. They are all PDFs, and some of the files are pretty larges, so be warned!